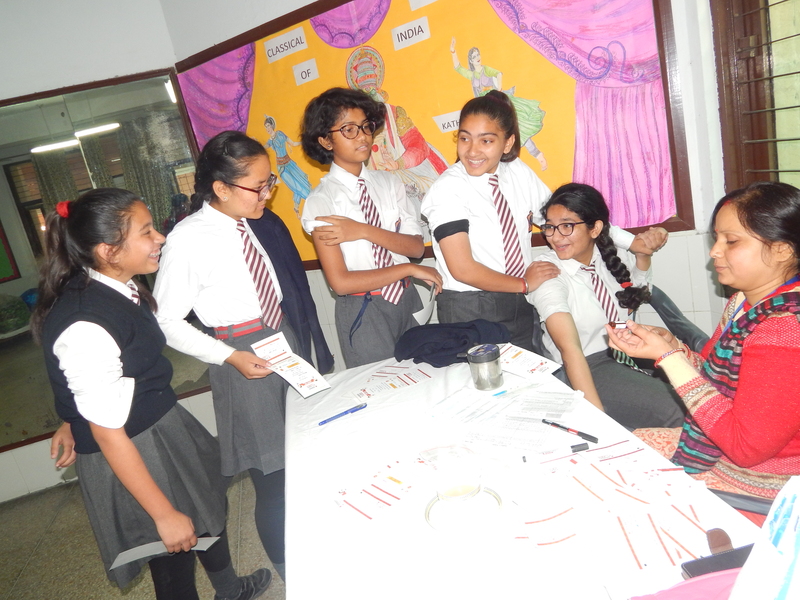 Measles/Rubella Vaccination camp was organized in the school premises on 21st Dec 2018 . 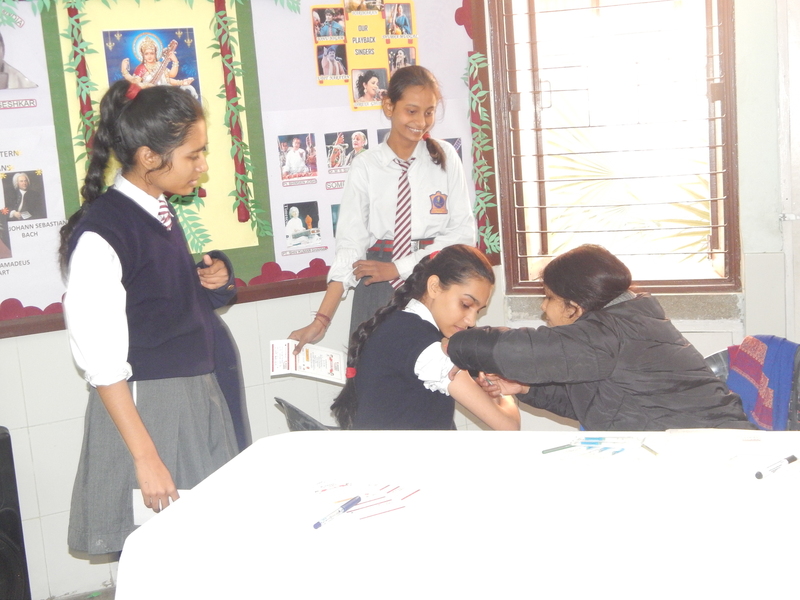 Students of classes I to X (upto age group of 15 years ) were vaccinated by trained health workers. The students of Primary Wing were accompanied by their parents and were allowed to go back with them after a break of half an hour post the vaccination. 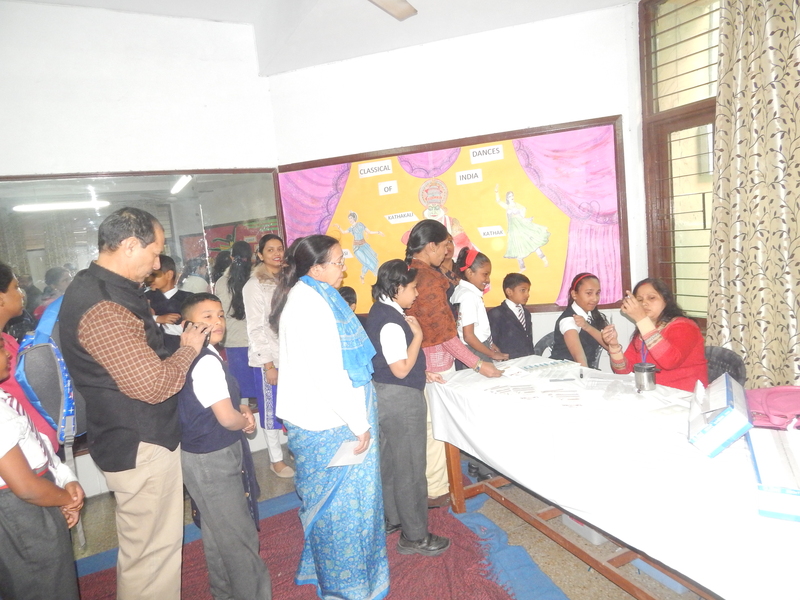 Similarly, most of the students from senior wing were administered the vaccination in the presence of their parents. A total of about 90-95% students were vaccinated in this campaign. This initiative was successful with a good response from the parents. Ministry of Health and Family Welfare, Govt of India has launched a campaign to eradicate Measles and Rubella/Congenital Spella Syndrome by 2020. As per direction of District Inspector of Schools, Gautam Budh Nagar, Measles and Rubella vaccination camp had to be conducted in the school premises. In this regard an awareness session for parents of students of classes I to X (upto the age of 15 years ) was conducted in the school premises on 13th Dec 2018. The purpose of the session was to inform parents about the importance of getting their children vaccinated against these diseases which can lead to serious impairments in the physical as well as mental functioning of the children affected. The key speakers on the occasion were Dr Dhaka from the CMO’s office Gautam Budh Nagar, Dr SK Mishra and Dr Ranveer, a pediatrician. The session also aimed at clarifying the doubts of the parents about the vaccination, process of administration and the preparation to be done before the vaccination and afterwards. The parents were also encouraged to bring their wards for the vaccination on 21st Dec 2018. 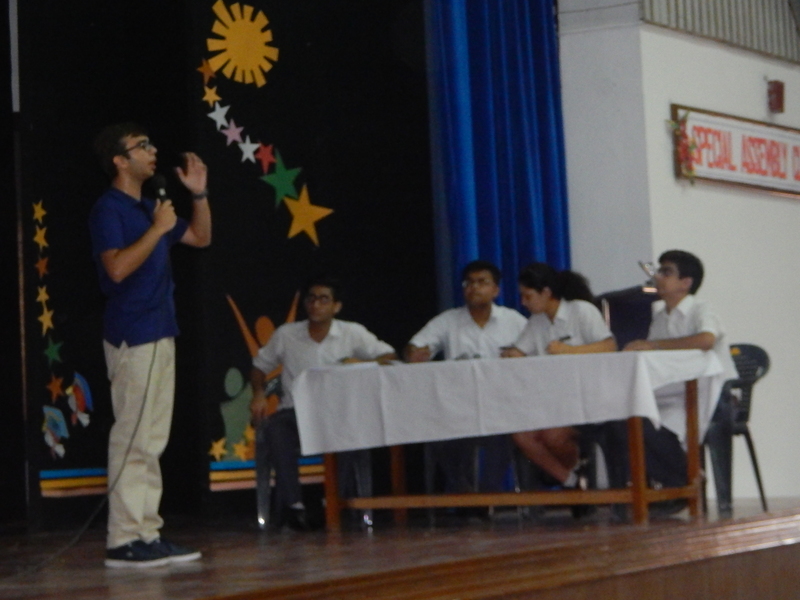 A workshop on the topic `Substance Abuse Prevention’ was conducted for the students of class X on 05th Oct 2018 by Mrs. Prachi Bhatnagar, the school counsellor. The aim of the workshop was to make the students aware about drug/substance abuse as a prevalent disorder amongst the youth of the world. A workshop on same topic was also conducted for the students of class IX on 08th Oct 2018. 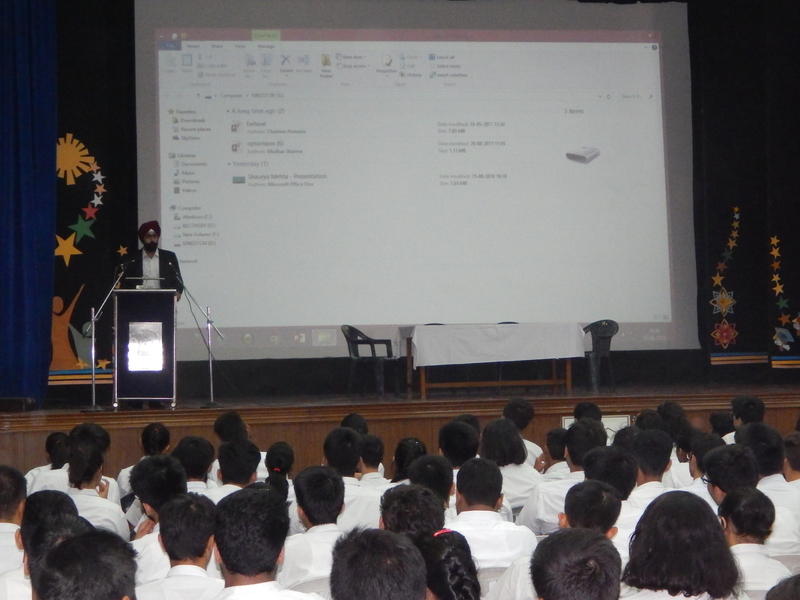 A seminar was organized for class X students and their parents on various career options available to the students. It was conducted by STP classes on 02 Oct 2018 in the school auditorium. Approximately 250 students and their parents attended the seminar. 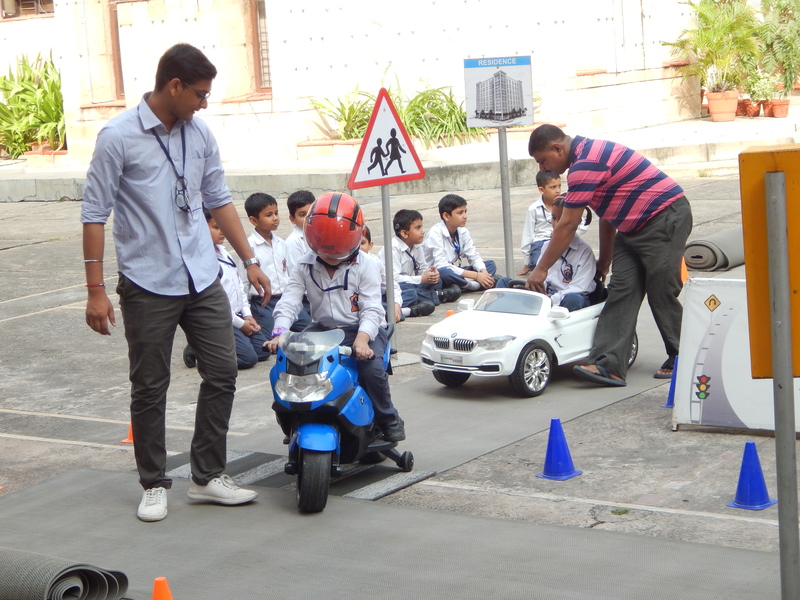 A workshop on Safety Rules and Simulation Activity was conducted in the school on 06th and 07th Sep 2018 for the students of classes II & III. 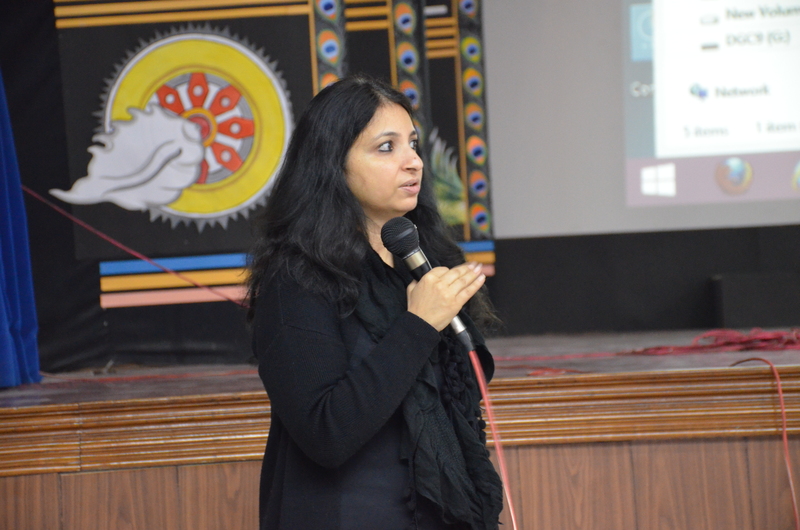 The resource person for the workshop was nominated by IL &FS Education & Technology Services Ltd, NOIDA. 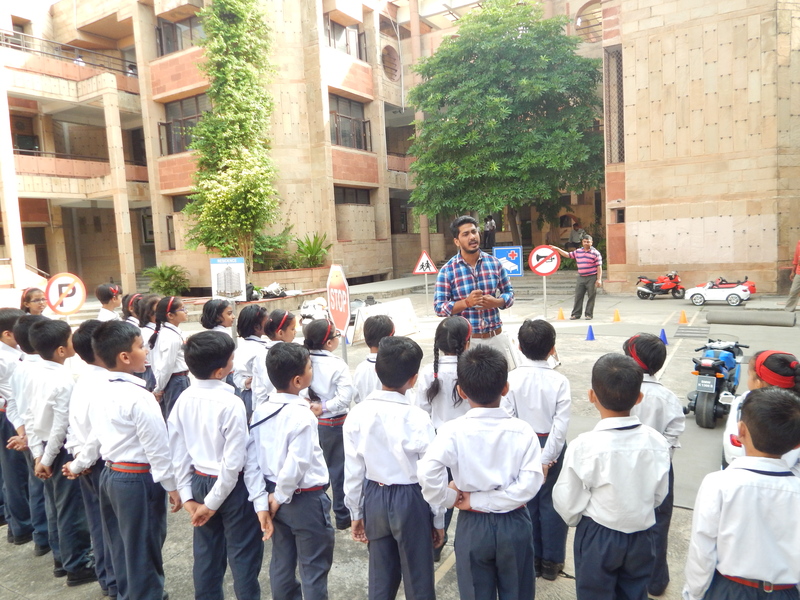 The workshop was conducted through a presentation to make the students aware of their surroundings, safety rules to be followed while travelling on the road and precautions to be taken to prevent any mishap. 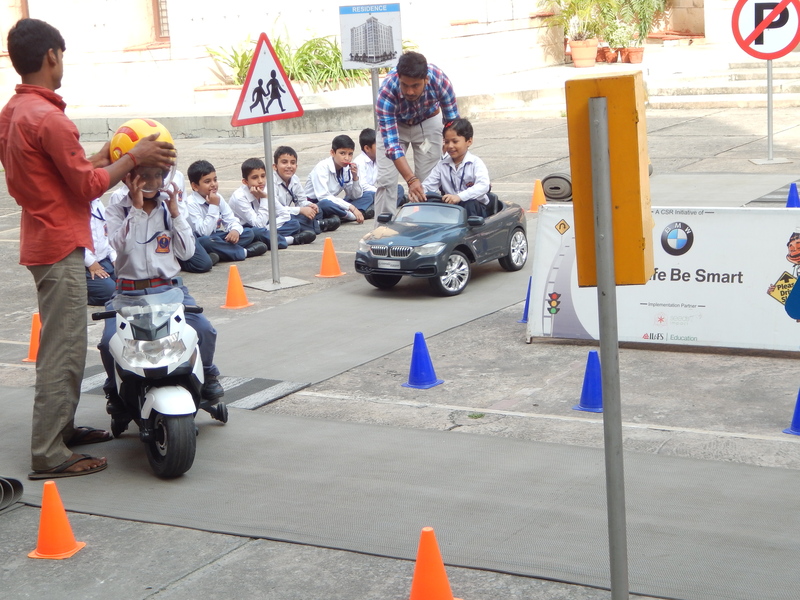 Students were given field demonstration about the safety and rules to be followed while on the road. They were made to drive a toy car, toy motor cycle and a truck. 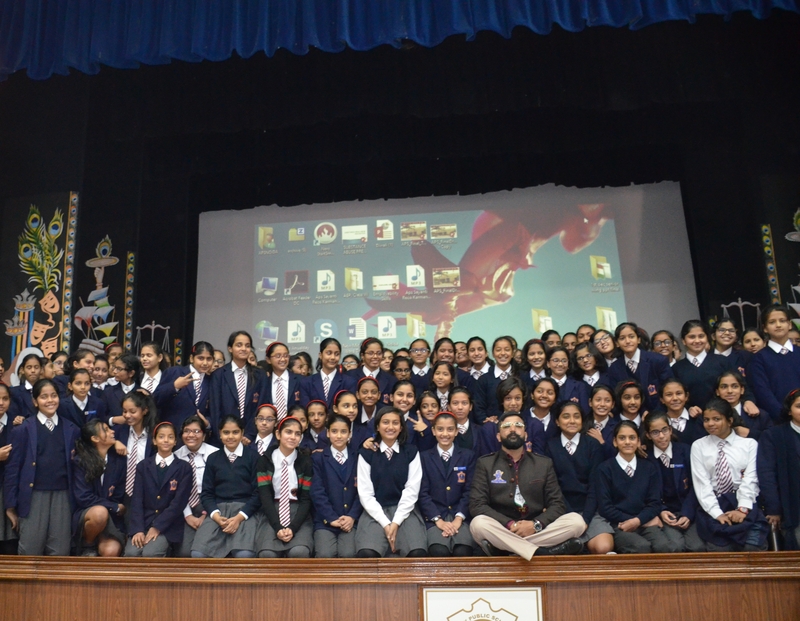 Mr. Harinder Sikka, the author of National Bestseller ‘Calling Sehmat’ on which movie ‘Raazi’ is based was invited to interact with our young and bright learners of classes IX to XII on Monday, 13th August 2018. It was a highly interactive session, where Mr. Sikka not only spoke about the book but shared with our students his insightful life experiences. A workshop on good touch/bad touch was conducted for the students of Primary Wing on 23rd August 2018 by resource person Ms. Pooja Bagri from Smile Foundation Organization. 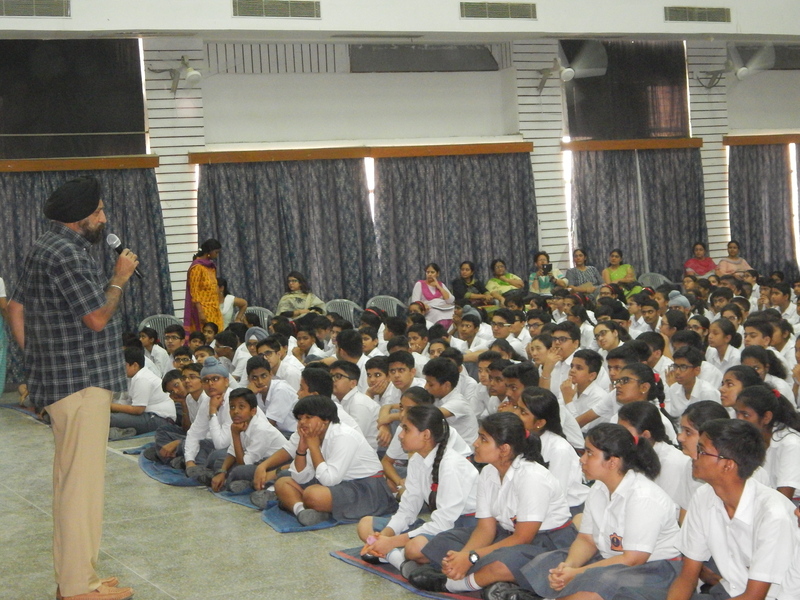 During the session, the resource person encouraged the students to come forward to share their anxieties and secrets. Students were also told about child helpline number. 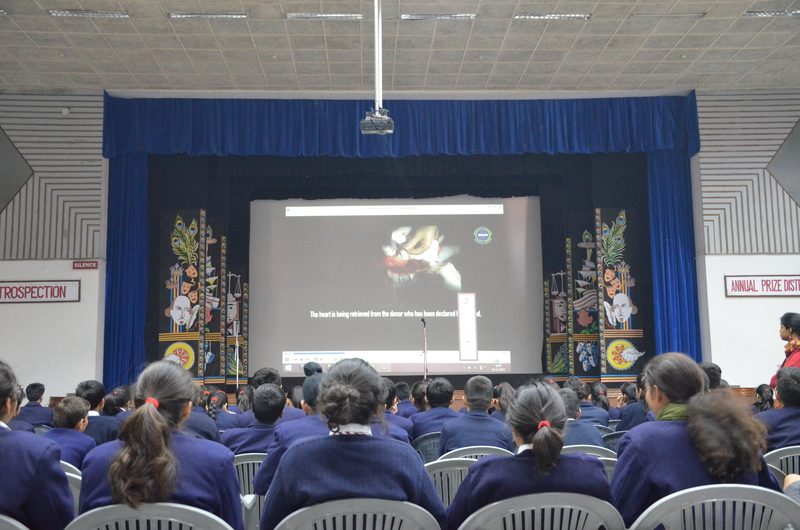 A movie `Halo’ was shown to the students which depicted love and care for our fellow beings. Workshop – Start up India. The Department of Industrial Policy and Promotion(DIPP) intends to run a program for spreading awareness about entrepreneurship and providing a platform to selected students for nurturing their idea/Startup in almost 2000 schools across India. APS Noida has been selected as a PILOT SCHOOL for the same. 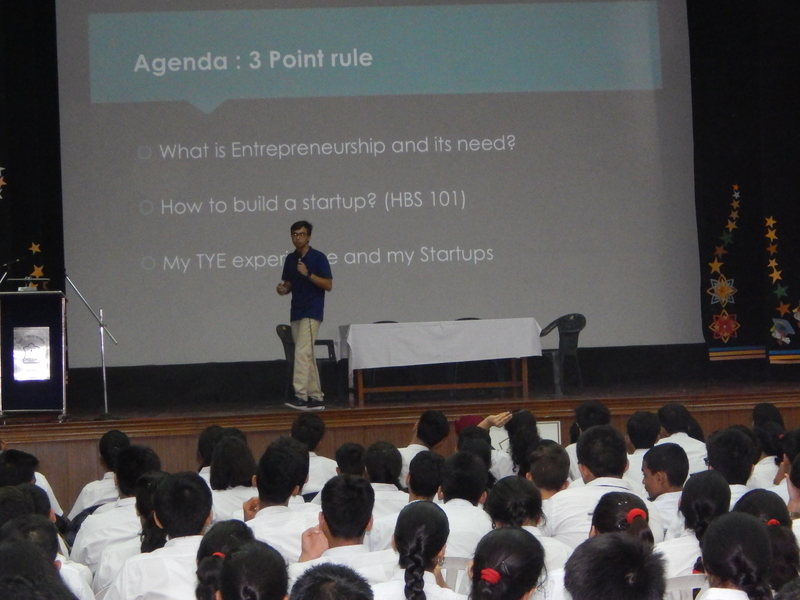 In accordance with this, the school organised a ‘Start-Up India’ workshop on 16th August 2018 for students of classes X-XII. Knowledge based session on Entrepreneurship and Emerging Technologies. Defining an innovator and difference between an entrepreneur and innovator. Importance of Entrepreneurs and Innovators in driving a country’s economy. Role of Technology in Entrepreneurship and Innovations . 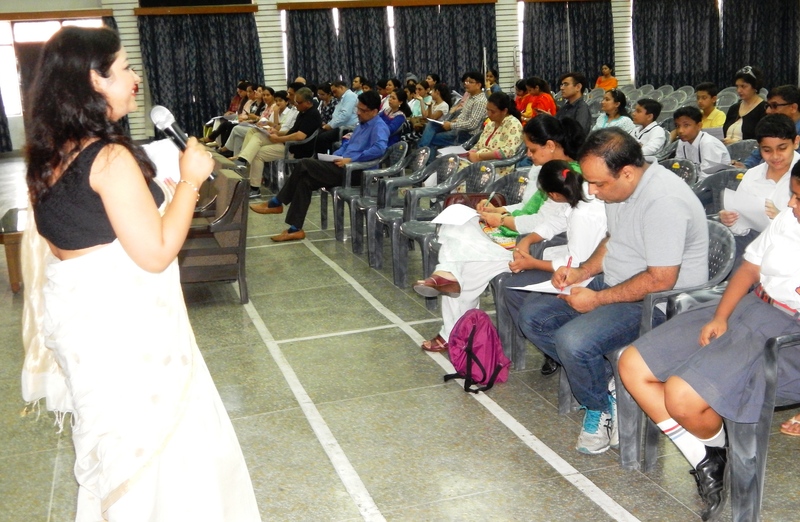 A workshop was conducted for the parents of students studying in classes VI-IX on 18 August 2018 in the school auditorium. 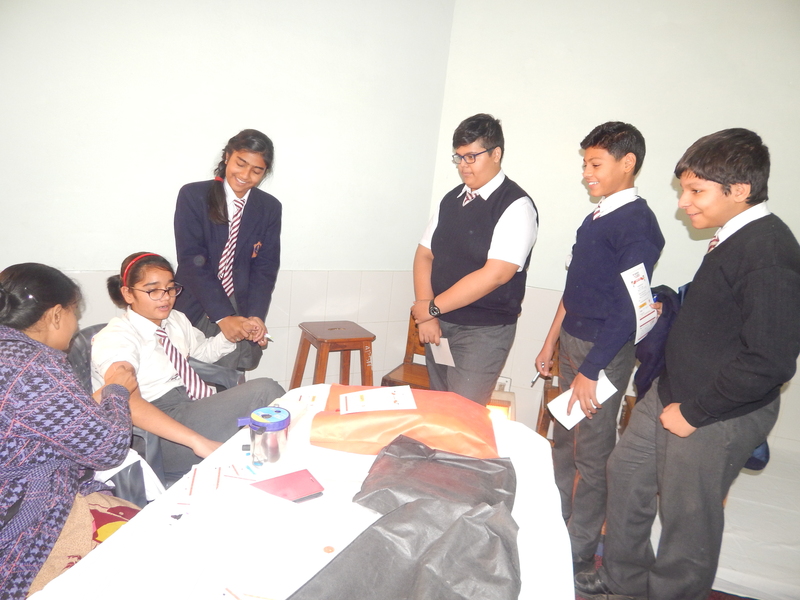 The workshop was conducted by the school counsellor, Mrs. Prachi Bhatnagar. The purpose of the workshop was to help the parents understand the challenges that their teenagers may be facing and to help them bridge the gap in their understanding of their adolescent. The parents were familiarized with the signs and symptoms of serious concerns like Depression, Anxiety, Stress, Cyber Abuse, Eating Disorders and Substance Abuse so that they can be alert and take necessary action in case they notice them in their teenagers. The last section of the workshop focused on the healthy practices that the parents can follow to help their teenagers make the most of this stage of life. 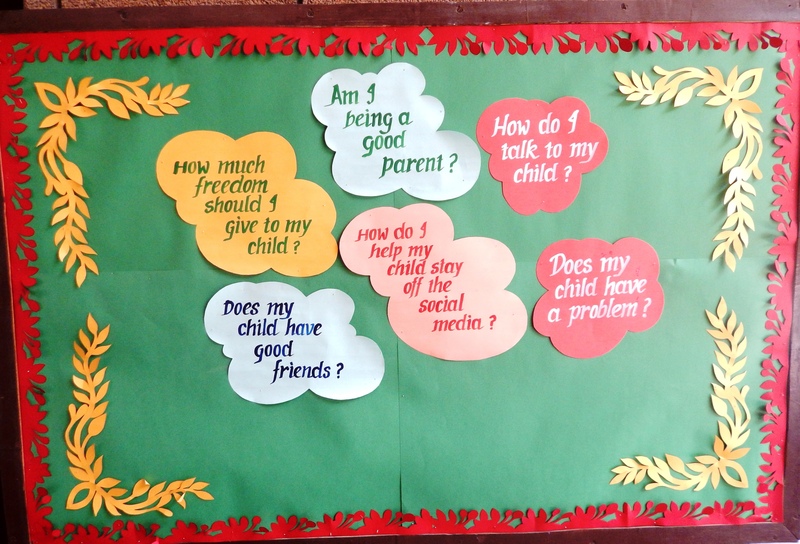 The counsellor stressed the importance of the parents being aware of their teenager’s world, keeping the channels of communication open, changing with the changing times and being the right role model. Career Guidance Workshop for Students & Parents. A career guidance workshop was organized in the school on 21st July 2018. 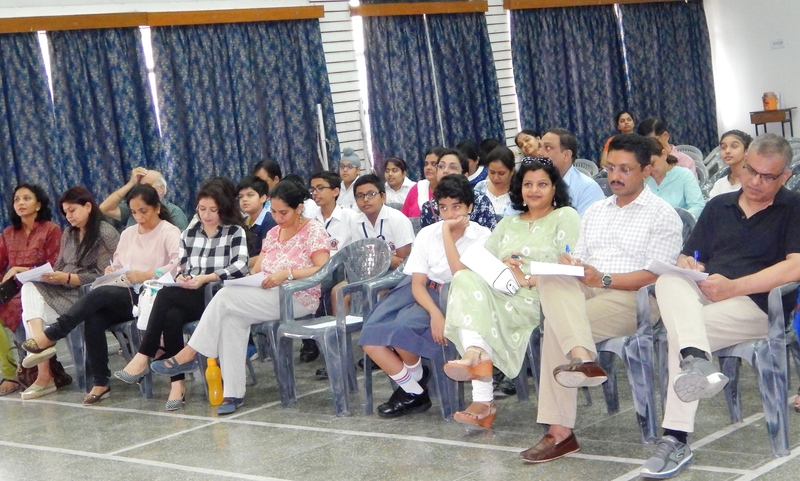 It was attended by the parents (of students of classes VIII to XII) and students ( classes X & XI). The key speaker on the occasion was Mr. Jitin Chawla, a renowned career counsellor and the Founder & Director of North India’s top career counselling firm, Centre for Career Development. 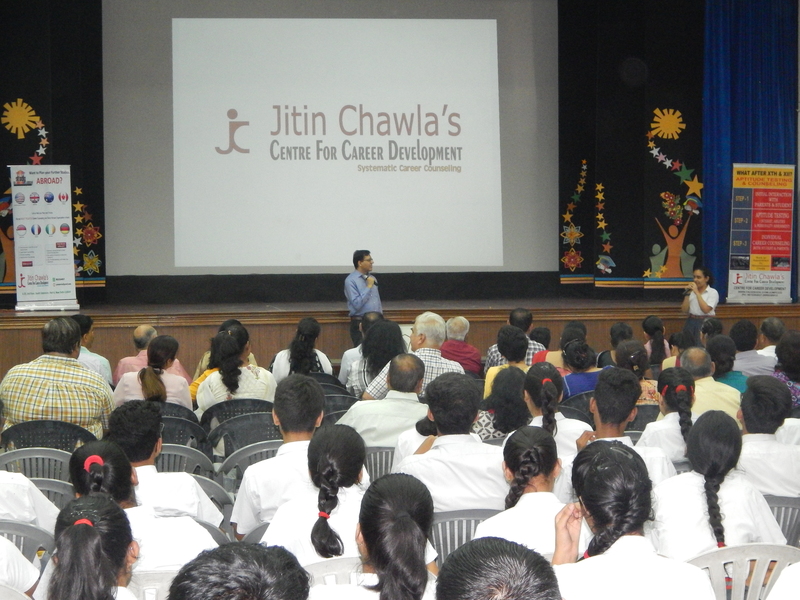 Mr. Chawla enlightened the parents and students about the process of identifying the right stream and career options. Mr. Chawla also used this opportunity to clarify the various misconceptions that people have about certain courses and universities. 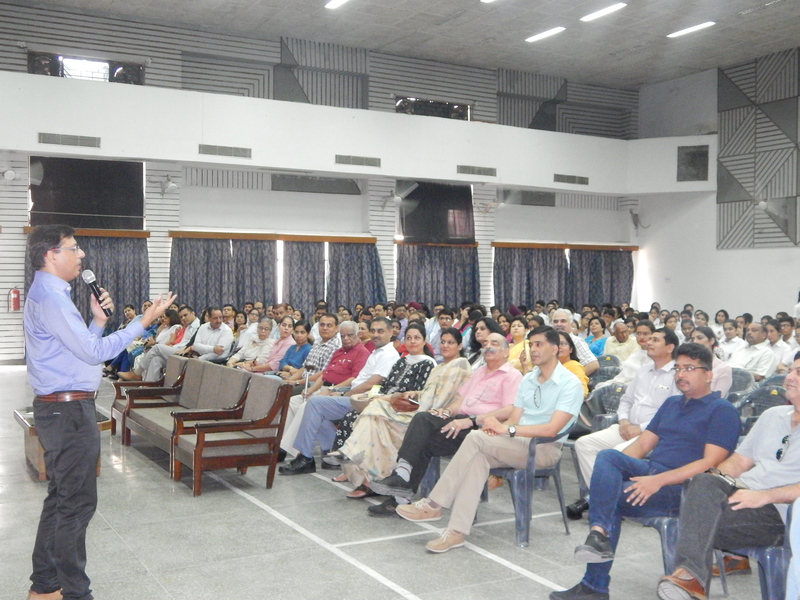 The session was followed by an interactive discussion with the parents and students. Inspirational Talk by Gurunanak Mission. Ten students of class XI attended the inspirational talk held at Gurunanak Mission, Sector-37, NOIDA on 9th July 2018. 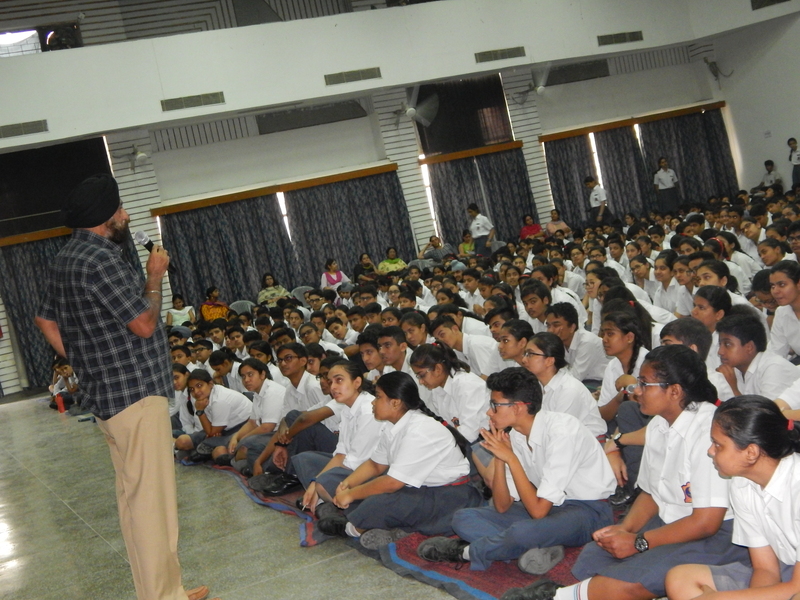 It was an engaging session for young minds intended to bring about spiritual awakening amongst teenagers. A workshop on managing examinations related stress was conducted on 26th December 2017 in the school for the students of classes X & XII by the counsellor. Focus of the workshop was to build coping strategies and resilience building. Couple of relaxation techniques were covered and demonstrated. Specific tips to perform well in exams based on psychological principles were also covered by the school counsellor. 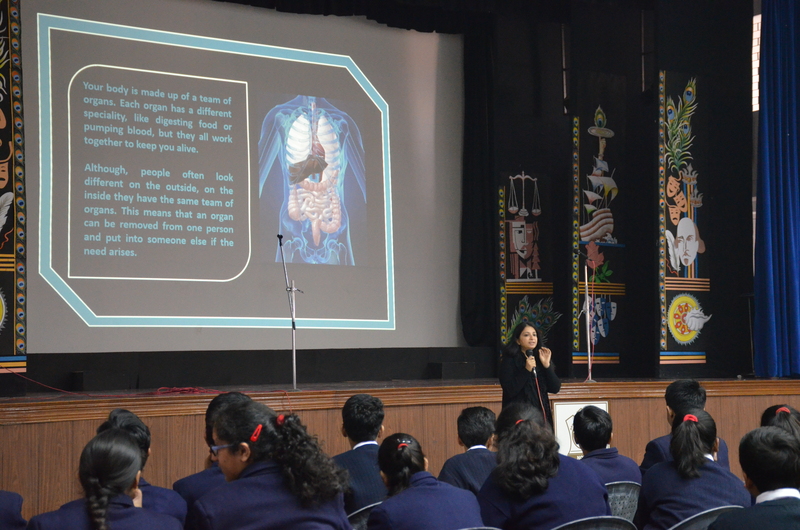 A session on organ donation was conducted for the students of classes IX and XI in the school on 19th December 2017 by Sunayana Singh, Chief Executive Officer of ORGAN (Organ Receiving and Giving Awareness Network). It was a session on the procedures and legalities involved in the process of organ donation. Emphasis was laid on the need for spreading awareness and significance of organ donation in saving lives. 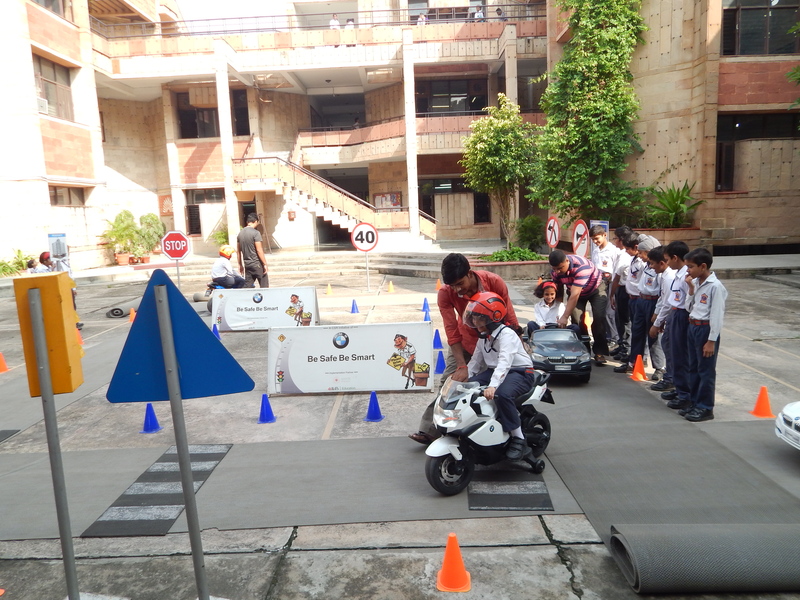 Toughening Training of Students of APS NOIDA. 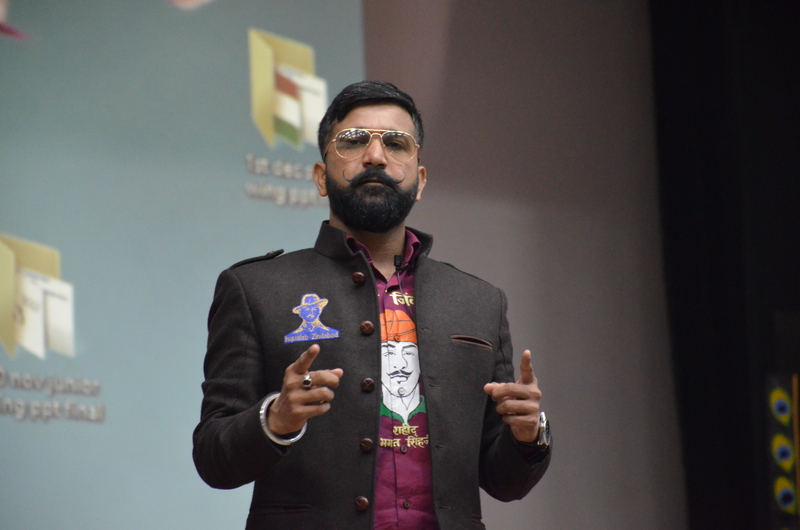 The workshop by Grandmaster “Shifuji”, Shaurya Bhardwaj was conducted at School Auditorium for the students of classes VI to VIII on 18th December 2017. Solving Case Studies – Business Studies. A workshop was conducted for the students of class XII (Commerce) on 20th December 2017. Resource person Mr.Tapan Pathak, Author of “Business Studies Case Studies”, guided students on the methodology for solving case studies in Business Studies. In this process, few previous year questions were also discussed along with new case studies. They were also guided as how to prepare with systematic planning for forthcoming board examination. Various career options for commerce students after class XII was also discussed with students. Maj Gen Somnath (Retd) addressed the students on 18th April 2017. In his address, he spoke about his mission of cycling through the country in the memory of the martyrs. The interaction was done to mark the completion of his six months journey across India. The talk was extremely inspirational and motivated the students to join the Armed Forces. 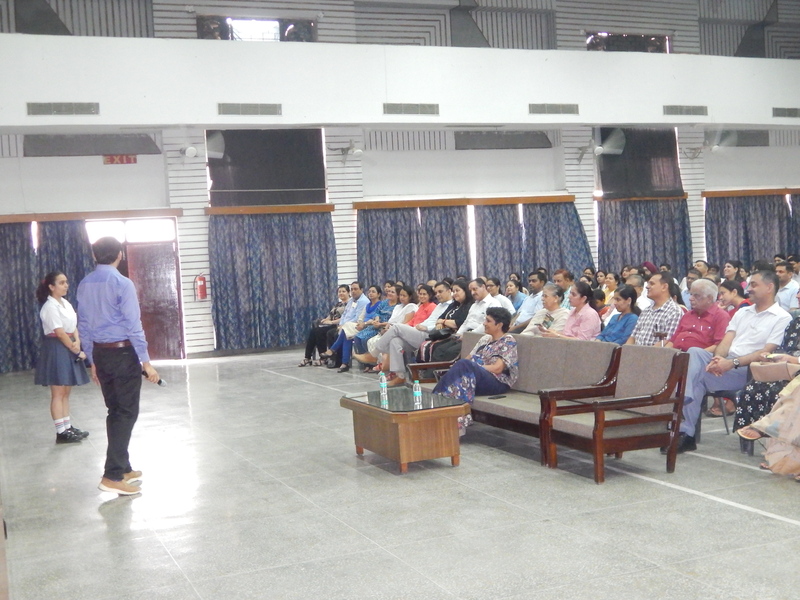 Career Launcher NOIDA conducted a Motivational Seminar titled `Road to IIT and Medical’ for the students and parents of classes IX to XII on 16th April 2017 from 1500 hr to 1900 h at the school auditorium. 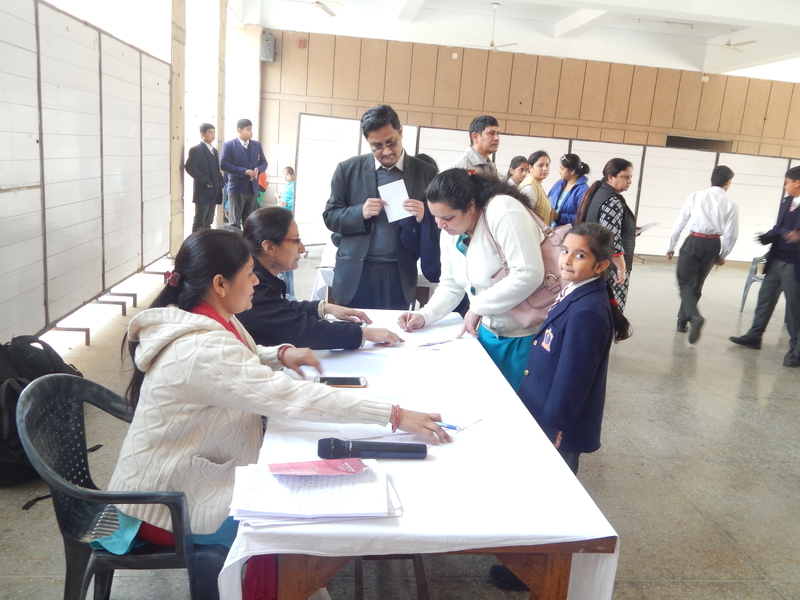 Approximately 100 parents and students from NOIDA attended the seminar.